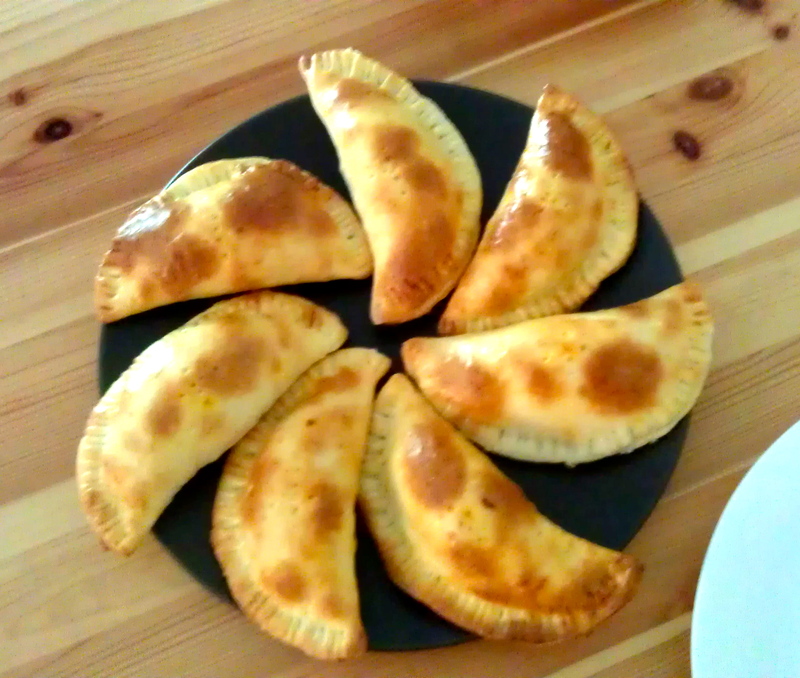 This is a traditional bread from Venezuela, especially cooked during Christmas time. Mix well the sugar, salt and yeast in a medium sized bowl. Make a hole in the center of the mixture and add the beaten eggs and the melted margarine. Mix until smooth. Place the dough on the table and sprinkle it with flour and knead it for 10 minutes. The sticky consistency will be disappearing while kneading it. Sprinkle it with flour until the dough does not stick to the board. Cover the dough with a cloth and place it in a warm place, it could be inside the oven while turned off. Let the dough rise until doubled in size (approximately 30 minutes). 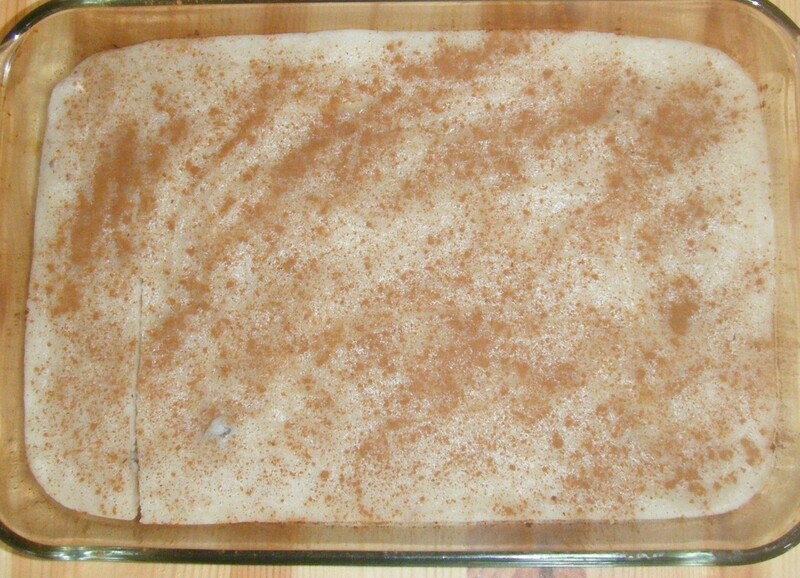 Sprinkle the board with flour and extend the dough from the centers to the corners to make a rectangle. Sprinkle it with flour as much as you need to avoid the dough stick to the board. Make sure the rectangle is not wider than your oven. Brush the extended dough with a thin layer of honey. Make a layer of smoked ham, another layer of smoked bacon 2 cm apart from each other. (The bacon can be fried or put it in the microwave wrapped in paper towels for few minutes to reduce fat). 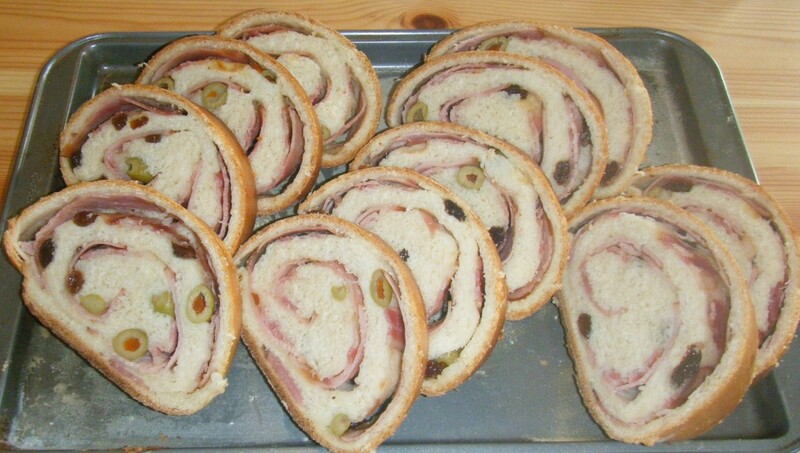 Put as many raisins and olives as you like. Note: filling portions can vary according your preferences. Roll the dough up carefully and tightly, moistening the edges and the ends to keep the roll well sealed. Cover it with a plastic wrap and let it rise for 30 more minutes. Remove the cover and brush it with a beaten egg and pierce with a fork to avoid unwanted dough openings. Place it in a 350ºF preheated oven for 40 minutes or until golden. Cut open the coconut, extract the pulp and cut it into pieces. Put the coconut in a blender with one cup of warm water and blend it for two minutes at high speed. Strain it and squeeze the pulp until one cup of coconut milk is obtained. With the coconut pulp left, repeat the process with an extra cup of warm water to obtain a second cup of coconut milk. 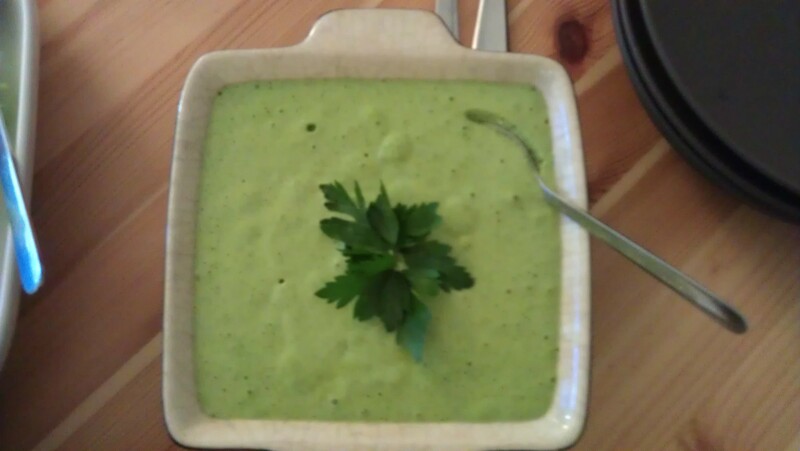 In a medium sized bowl dissolve the cornmeal with one cup of coconut milk. Add the two cups of whole milk and blend it for about a minute. Put the blended mixture into a deep pot and bring it to boil at low heat with a cinnamon stick and a pinch of salt. Add the sugar and the remaining cup of coconut milk, stir well for three more minutes. The consistence should be very thick. Remove it from heat and put it in a container to set. Sprinkle with cinnamon powder on top and let it cool. This dish can be served warm or cold.